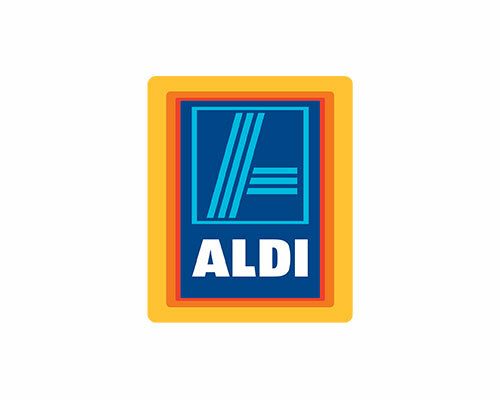 Prolux were the nominated electricians contracted to complete the entire electrical fitout for Aldi Fresh, located in Burnside. 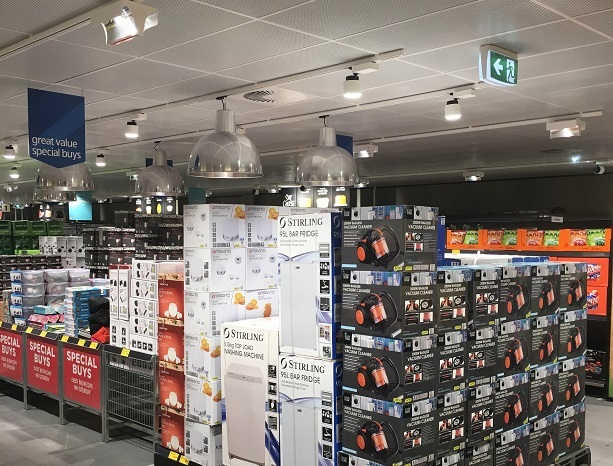 With large pendant industrial lighting and modern track lighting, Aldi Fresh is now displaying the sleek, contemporary look, and doing away with the cheap, old fashioned styling. 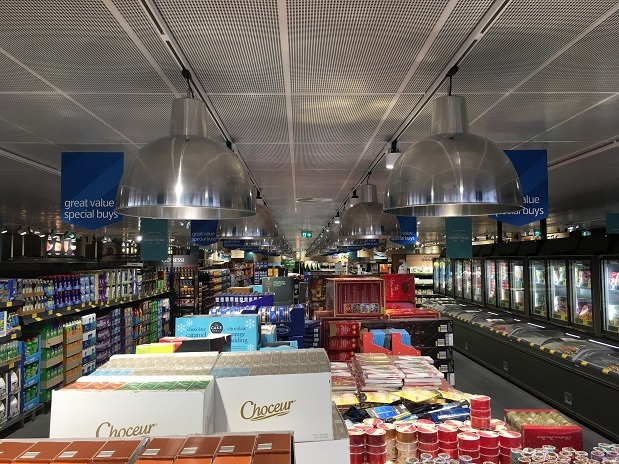 These newly renovated supermarkets are improving the shopping experience for customers with the innovative design definitely paying off, recently being named one of Australia’s leading supermarket retailers, having doubled their store outlets and receiving continual increase in sales nationwide. Prolux took on this project as their third ‘Aldi Fresh’ electrical project so far, providing the electrical communications room installation, switchboard upgrade, car park lighting, lighting controls, CAT6 data cabling installation and power throughout the commercial fitout.  Prolux Electrical has vast experience across many sectors in industrial and commercial fitouts.  Call them to discuss your next project on 1800 800 880.